Big Sky Country Digital Network (BSCDN) is a partnership of the Montana State Library (MSL), Montana Historical Society, Montana State University, the University of Montana and North Dakota State Library. This partnership supports a local service hub of the Digital Public Library of America (DPLA). BSCDN collects information about Montana and North Dakota digital resources and submits this information to the DPLA where it is exhibited alongside nation-wide digital resources. Newspapers, images, books, and digital collections are presented on one platform with world-wide availability. BSCDN also maintains tools and technologies (such as OAI-PMH & REPOX) that allow for standardized metadata to be shared with the DPLA on a regular, consistent basis, and we engage with the broader community of data creators, providers, and users at the local and national level in order to stay informed about changes in technology, data development, and metadata standards. 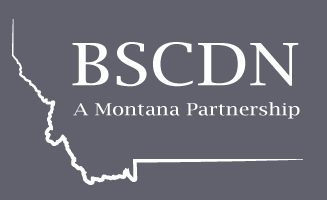 In addition to these primary activities, BSCDN represents Montana and North Dakota as the point of contact for DPLA and communicates with partners and local organizations about significant issues. The partnership—with the assistance of DPLA staff—supports the development of local knowledge about linked open data, data quality and standards, copyright and licensing, and related topics. Our partners provide outreach and training and provide assistance to smaller organizations. © 2019 BIG SKY COUNTRY DIGITAL NETWORK ALL RIGHTS RESERVED.